A new set of regulations ratified by the World Endurance Championship, the premier class of sports car racing, could allow manufacturers to enter racing versions of hypercars. Pierre Gasly has accepted responsibility for the heavy crash which prematurely ended his first test for Red Bull and put the team's participation in the final day in jeopardy. Max Verstappen says he is "optimistic but realistic" ahead of the new F1 season with Red Bull. Red Bull's Max Verstappen shares a first look at the helmet he'll be using for the 2019 Formula One season. Max Verstappen wishes he'd had a chance to fight a competitive Fernando Alonso in their time on the grid together. For a short time during the Abu Dhabi Grand Prix, Christian Horner was sure Daniel Ricciardo was about to repeat his heroics from China earlier this year. Christian Horner was in a mischief-making mood ahead of the Abu Dhabi Grand Prix, taking several shots at his rivals and the current state of F1's commercial rights negotiations with its teams. 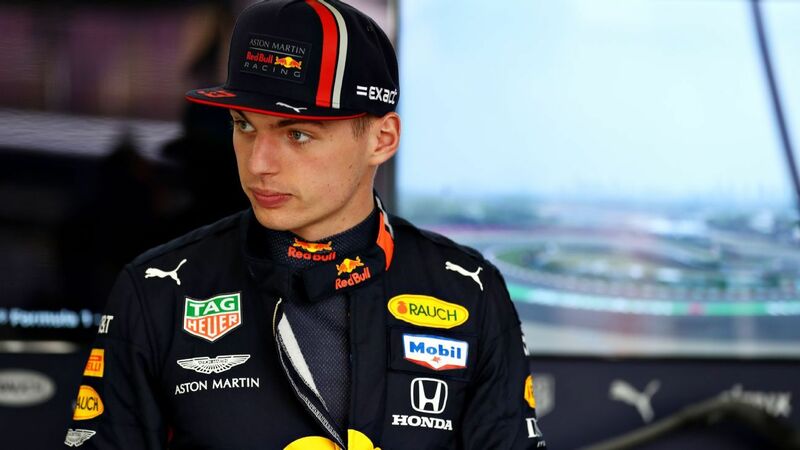 Toto Wolff believes Red Bull's Max Verstappen is an "unbelievable talent" but says the Dutchman still has some flaws he needs to address before he can be Formula One champion. Carlos Sainz does not believe former teammate Max Verstappen was the reason he was overlooked for a 2019 Red Bull seat in favour of Pierre Gasly. Jennie Gow and Maurice Hamilton discuss on track bust up between Max Verstappen and Esteban Ocon. Was Max Verstappen's Brazil Grand Prix shoving match with Esteban Ocon a welcome show of passion, or completely unnecessary? Suggestions that Esteban Ocon collided with Max Verstappen on purpose at the Brazilian Grand Prix have been labelled as "conspiracy theories" by Force India team principal Otmar Szafnauer. An engine component change in Daniel Ricciardo's Red Bull car will continue the Australian's torrid run of bad luck in Formula One, giving him a grid penalty for the Brazilian Grand Prix. After a frustrating season, Red Bull's Daniel Ricciardo had hinted at skipping Brazil and Abu Dhabi, but took to Instagram to confirm he'll compete.